The Honolulu Museum of Art (formerly Honolulu Academy of Arts), is an art museum in Honolulu in the state of Hawaiʻi. Founded in 1922 by Anna Rice Cooke, it opened to the public on April 8, 1927, and today its collections have grown to more than 50,000 works of art. The Honolulu Museum of Art was called “the finest small museum in the United Statesˮ by J. Carter Brown, director of the National Gallery of Art from 1969 to 1992. It presents international-caliber special exhibitions and features a collection that includes Hokusai, van Gogh, Gauguin, Monet, Picasso and Warhol, as well as traditional Asian and Hawaiian art. Located in two of Honolulu’s most beautiful buildings (the main building on Beretania St., and the Makiki Heights Spalding House), visitors may also enjoy two cafés, gardens, and a theater presenting award-winning films and concerts. 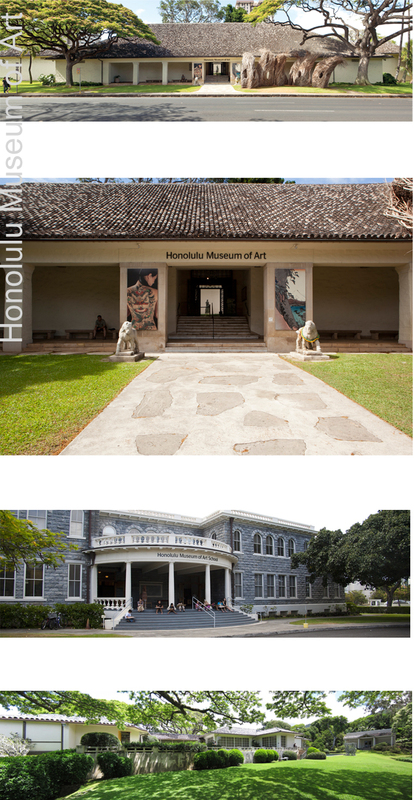 In 2011, The Contemporary Museum gifted its assets and collection to the Honolulu Academy of Arts and in 2012; the combined museum changed its name to the Honolulu Museum of Art.